Based in Bohemia, New York, Gutter Helmet of Long Island is a family owned and operated business serving Suffolk and Nassau counties and beyond. Our mission is to provide maintenance-free gutter guard products of the highest quality on the market today, Gutter Helmet®. For over 30 years, this patented gutter protection system has been America’s choice for preventing clogs and keeping homes safe from water damage. The patented nose-forward design keeps leaves and debris out while allowing rainwater and snow melt to flow freely to the downspout and away from the house. It is our goal to provide the best products and craftsmanship at a good value. 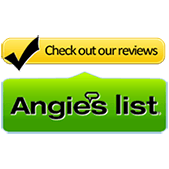 We also offer other exterior home improvement solutions to all homeowners in our service areas, including but not limited to: seamless gutters, roofing, retractable awnings and heated gutters (Helmet Heat). With Gutter Helmet, we are committed to helping you ensure that your rain gutters last longer and remain clog free – No more dangerous ladders and no more yearly gutter cleanings! Gutter Helmet comes with a lifetime manufacturer warranty that is also transferable if you decide to sell your home. Our warranty states that your gutters will remain clog-free and free flowing, guaranteed. Gutter Helmet® installs right over your home’s existing rain gutters, and is custom fitted by our professional manufacturer certified installers. If your gutters are old, we can replace them with brand new seamless gutters for the ultimate in rainwater protection. Add Helmet Heat and ice dams will be a thing of the past along with gutter cleaning. Gutter Helmet of Long Island is a New York state-registered service provider with all appropriate state licenses and general liability insurance coverage. 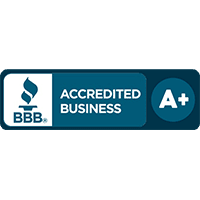 We maintain an A+ rating with the Better Business Bureau as well as other trade memberships.